Use divided sphere graphics designed in layers to show the core idea or project and its components. Similar to the earth, these spheres can illustrate a structure of concentric layers around a core. Now consider taking away a piece of the sphere along the central axis. This action makes the core and the individual layers visible. Metaphorically speaking, the components of a concept or a project can be shown by the individual layers of a sphere. An interior core idea is built on the basis of exterior thoughts. The exact thoughts and how they relate can be demonstrated with our sphere graphics. 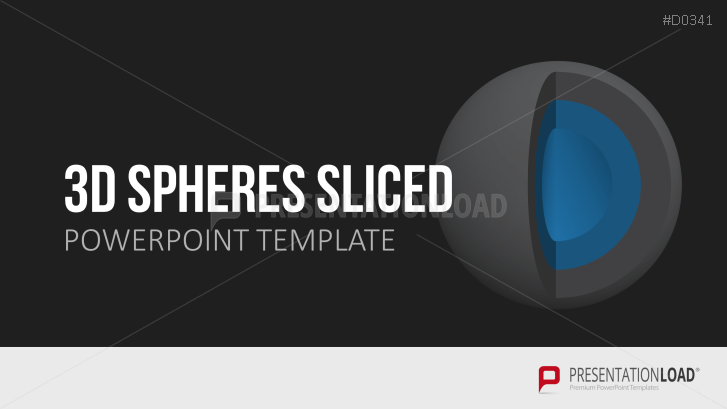 This PowerPoint package provides you with a range of different sphere graphics in a divided style. Depending on the slide, you can have a different number of layers with the largest graphics having up to ten annotatable parts.